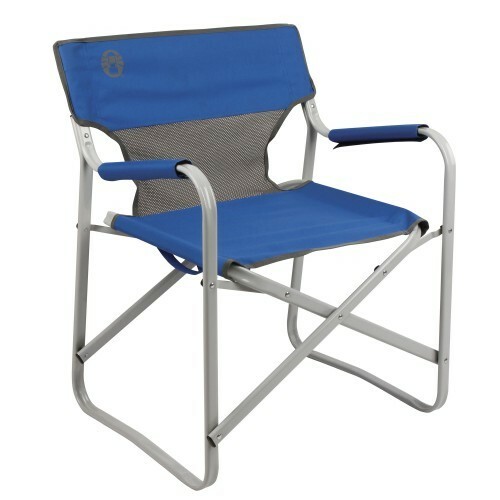 Take the comfort with you to picnic, BBQ, offsite field work with a Coleman® Portable Deck Chair. The mesh lower back support allows the breeze to cool you on hot days. Relax in comfort all afternoon with padded arm rests and a steel frame that can support up to 136.08 kg. When the fun is done, easily fold up the chair, and take it away for compact storage until your next get-together with family and friends. Fits in car trunks and storage room.